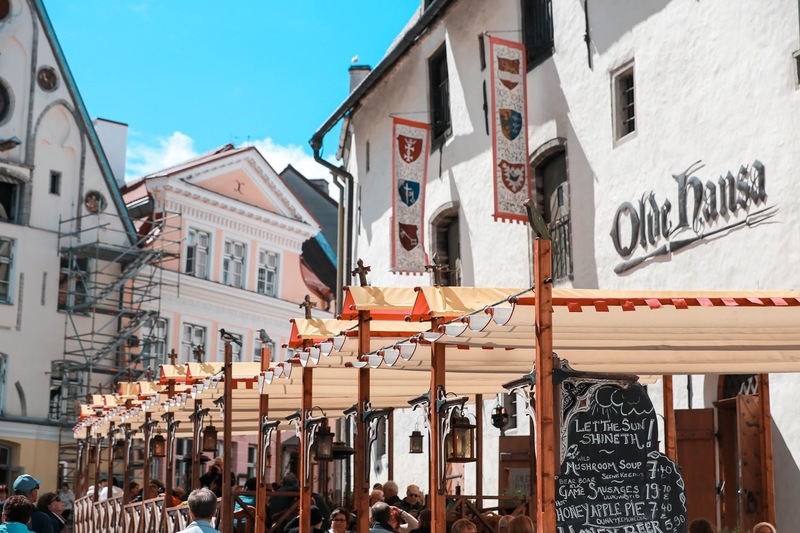 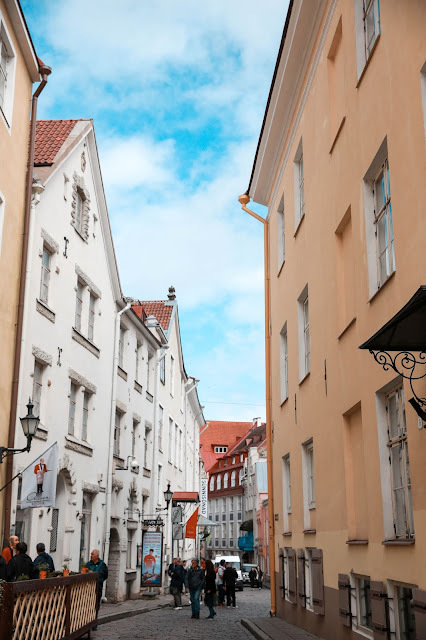 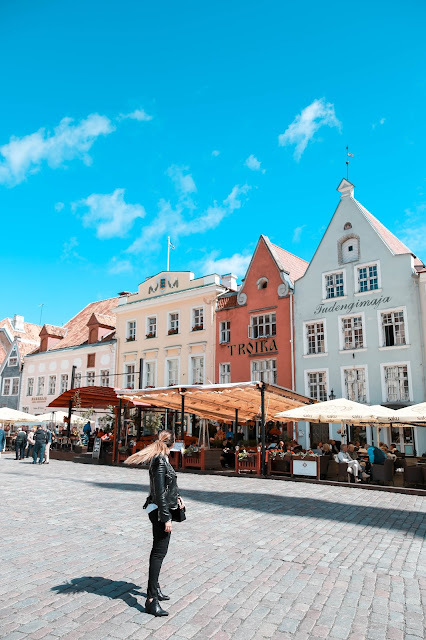 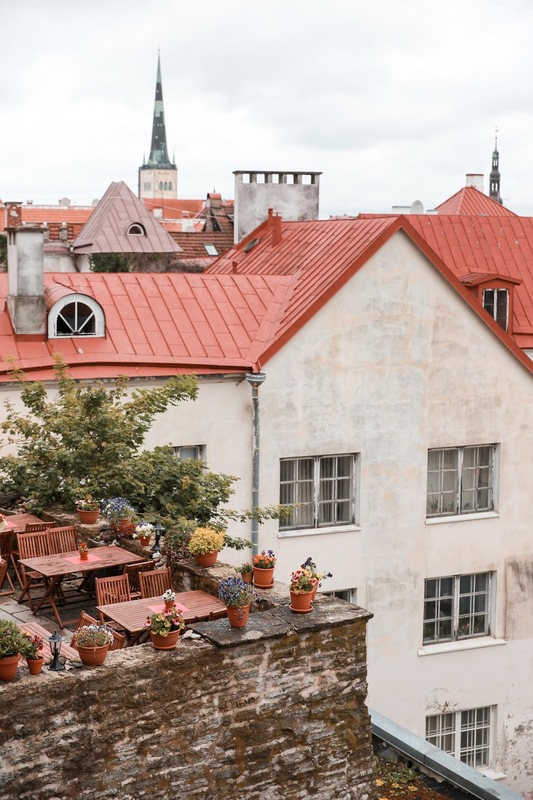 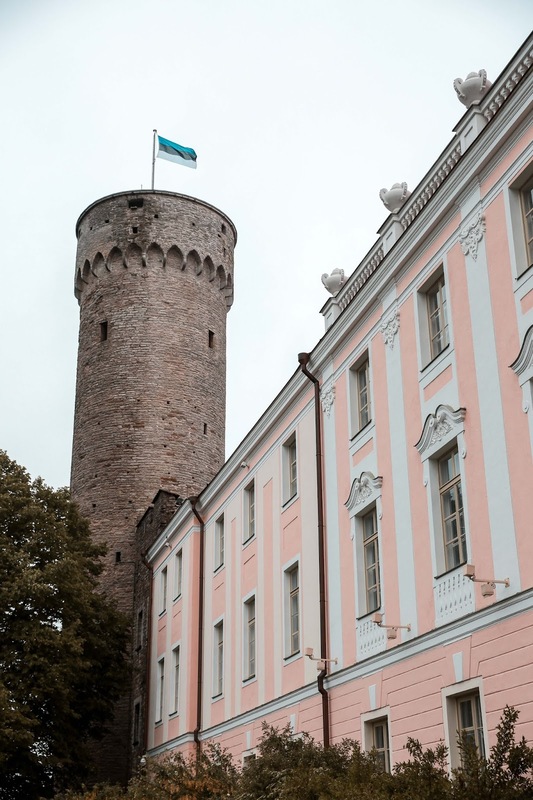 Just a short ferry ride from Helsinki or a quick flight away from almost anywhere in Europe, Tallinn, Estonia is one of the most unique and overlooked European cities we have ever visited! 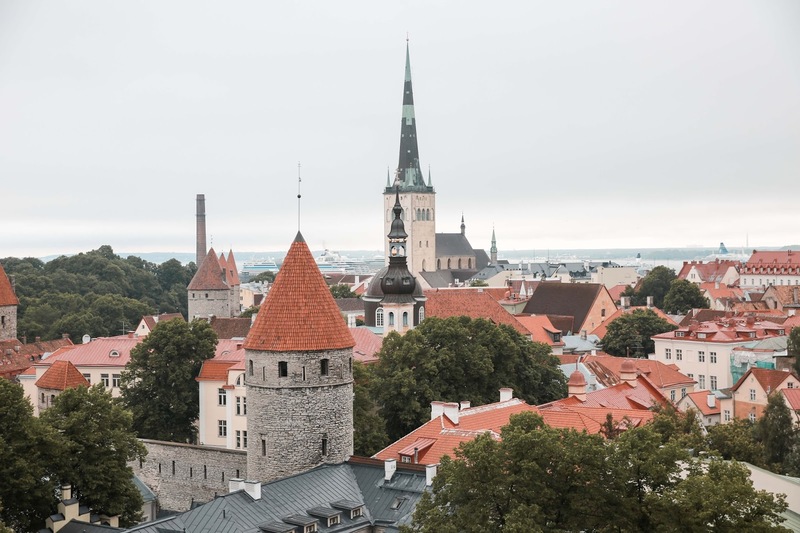 Capital of Estonia, Tallinn is almost equidistant from both Russian and Sweden which gives it a rich and surprising cultural vibe. 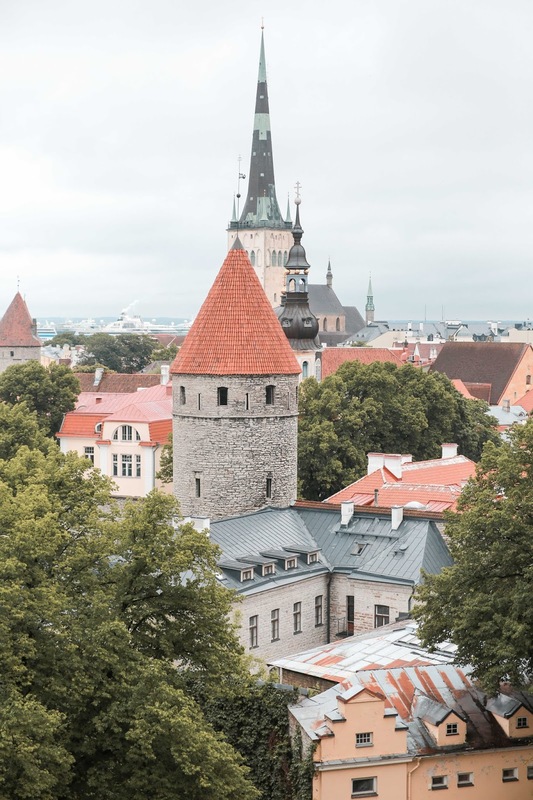 Established in the early medieval era, Tallinn is one of the most preserved medieval cities in Europe. 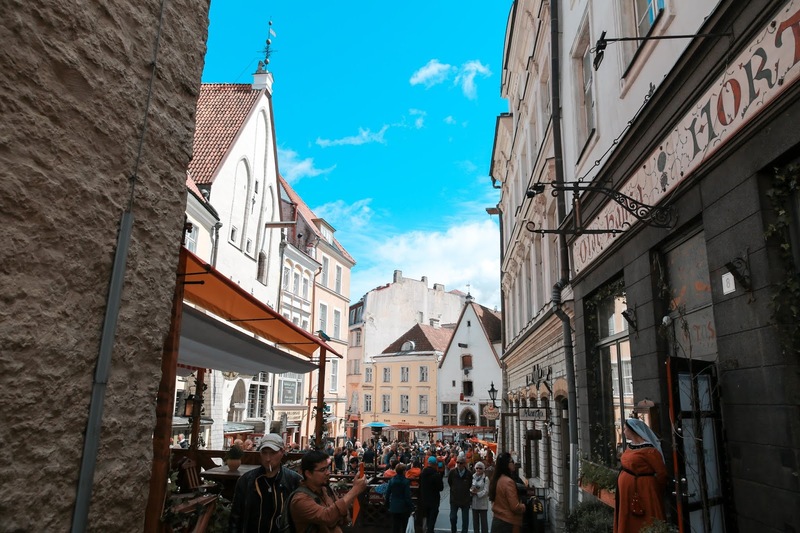 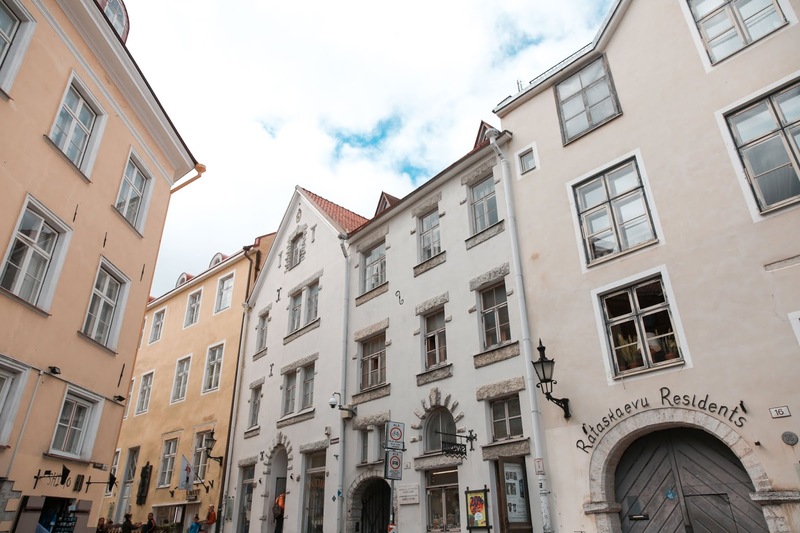 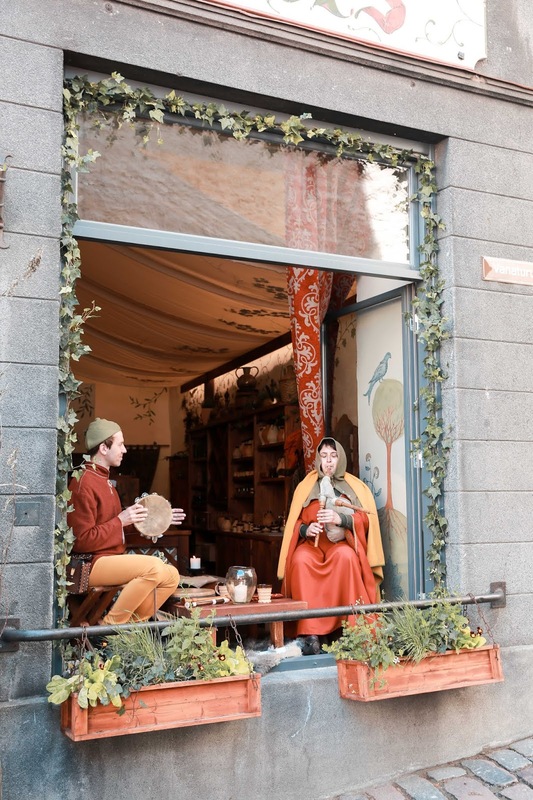 Tallinn is a compact city and can easily be covered in a 1 to 2 day trip. 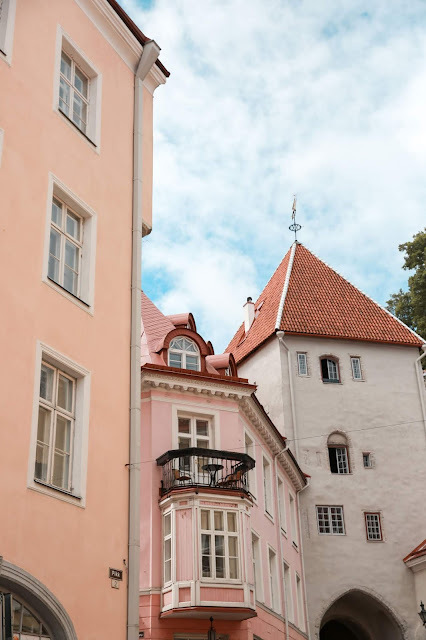 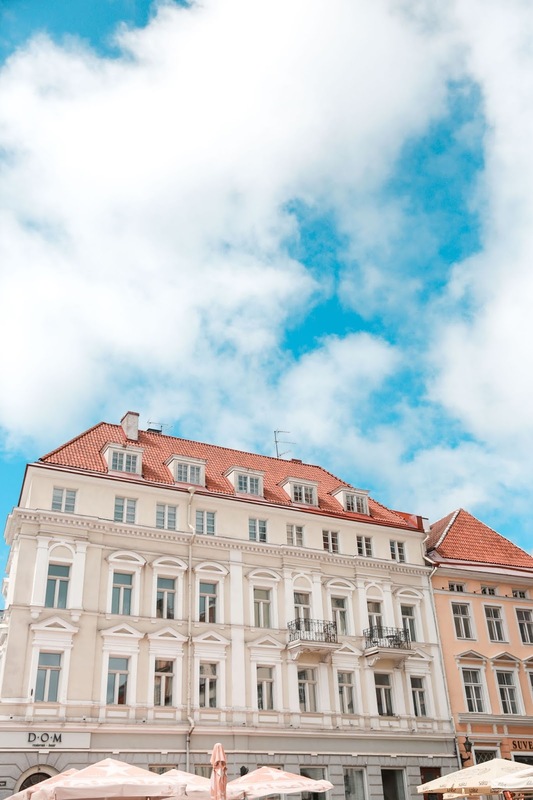 Whether visiting from Helsinki or via a cruise ship, which is how we came to visit this city, here is our list of things to see, do, and eat! 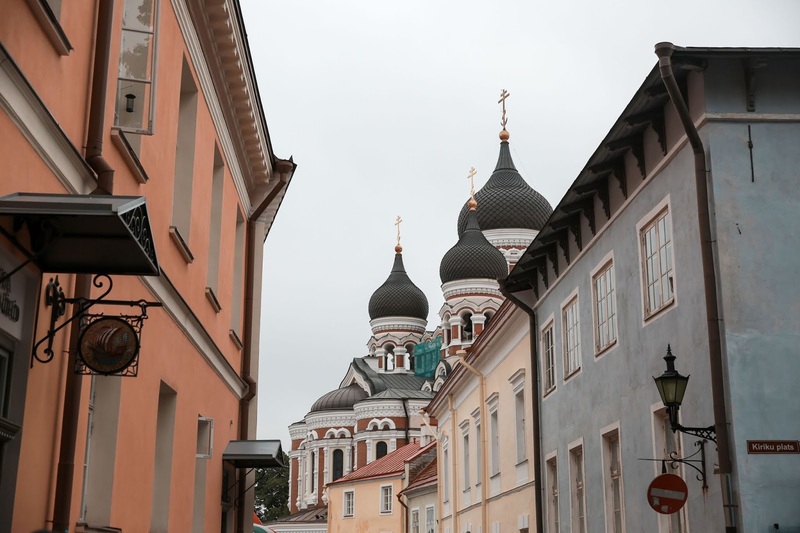 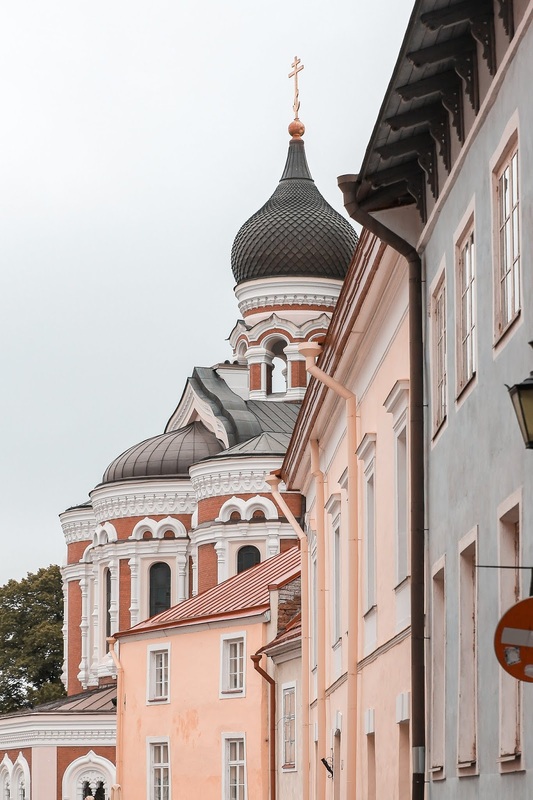 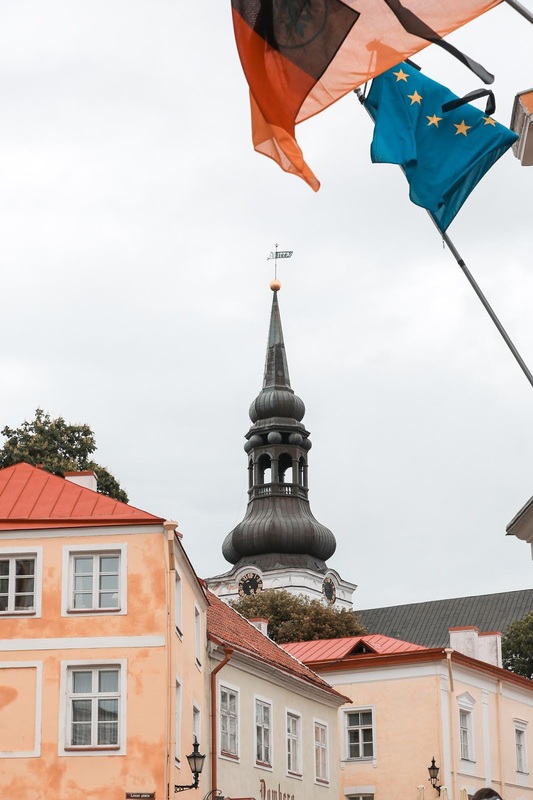 Our first stop was St. Mary’s Lutheran Cathedral, nearby where our boat docked in Toompea, and it was a great introduction to Tallinn’s incredible architecture. While there, we learned that it’s referred to as “Dome Church” despite not actually having a dome. 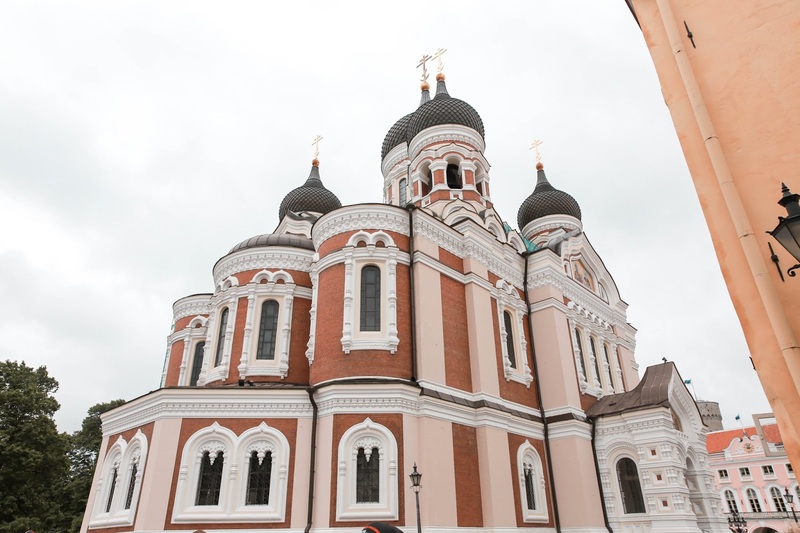 Nearby St. Mary’s Lutheran Cathedral is the Alexander Nevsky Cathedral. 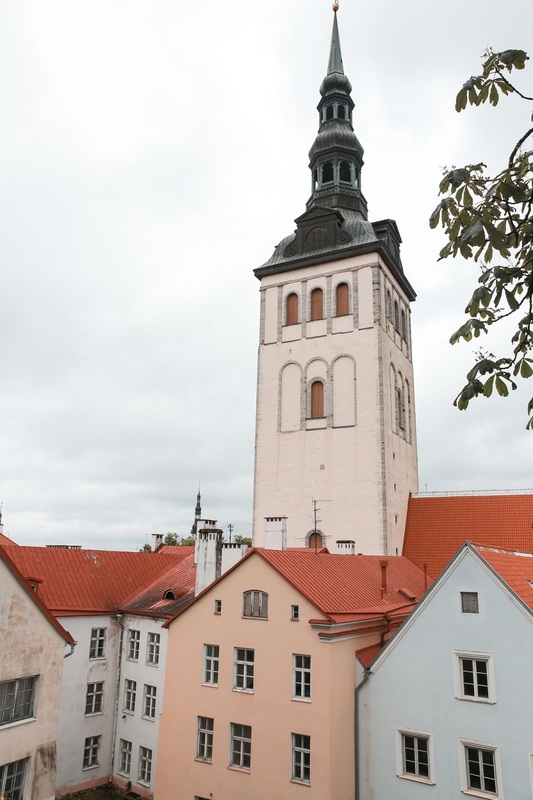 The cathedral is home to Tallinn’s most impressive ensemble of bells. It holds 11 bells, one of which weighs 15 tons. 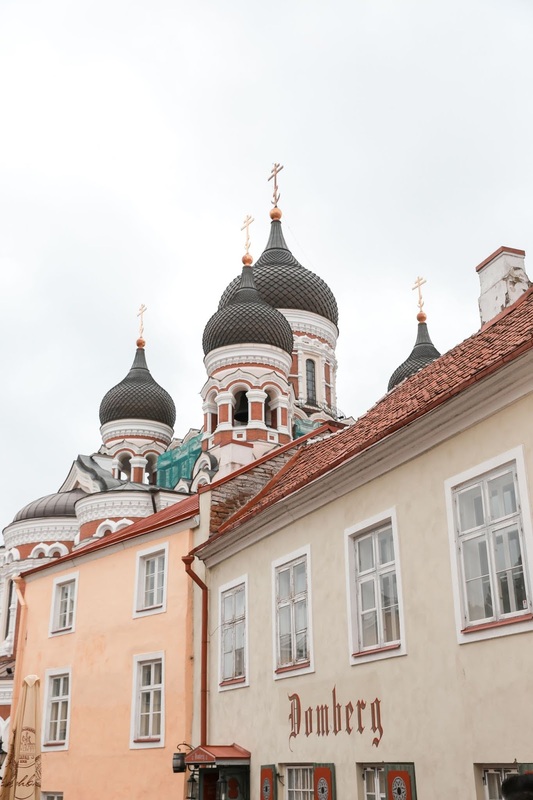 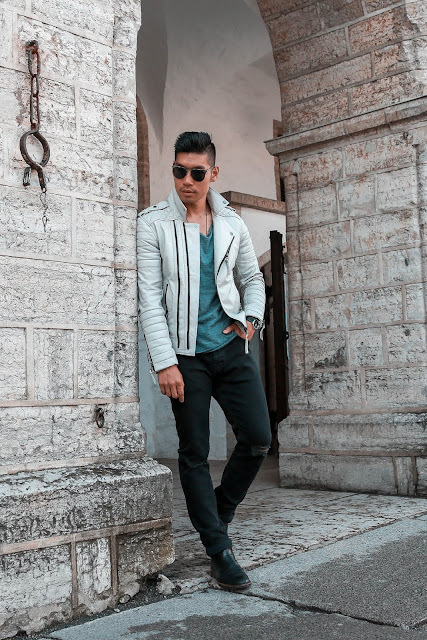 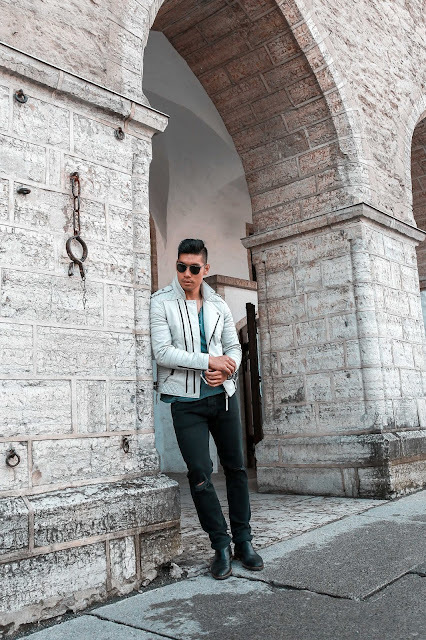 Outside of the bell collection, it has what you traditionally think of when you think of the Russian Orthodox style architecture. 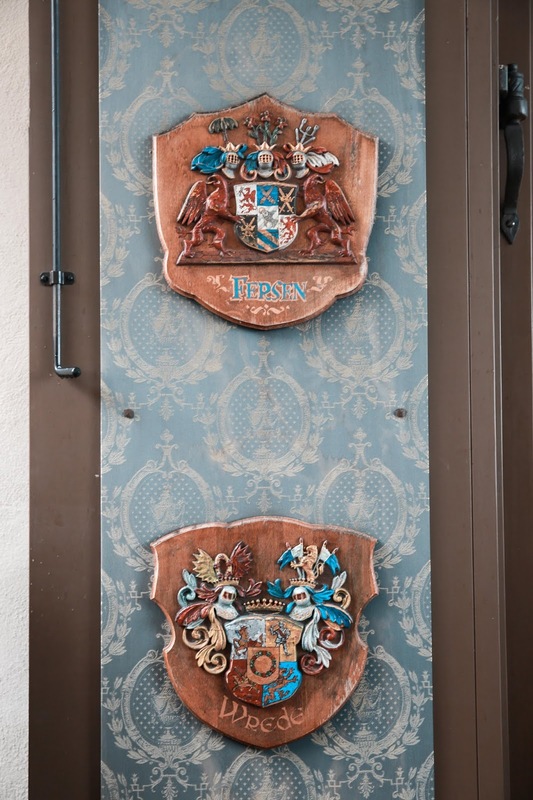 We leave it up to you to decide if the outside, with its architecture, or the inside, with its mosaics and artwork, is more beautiful! 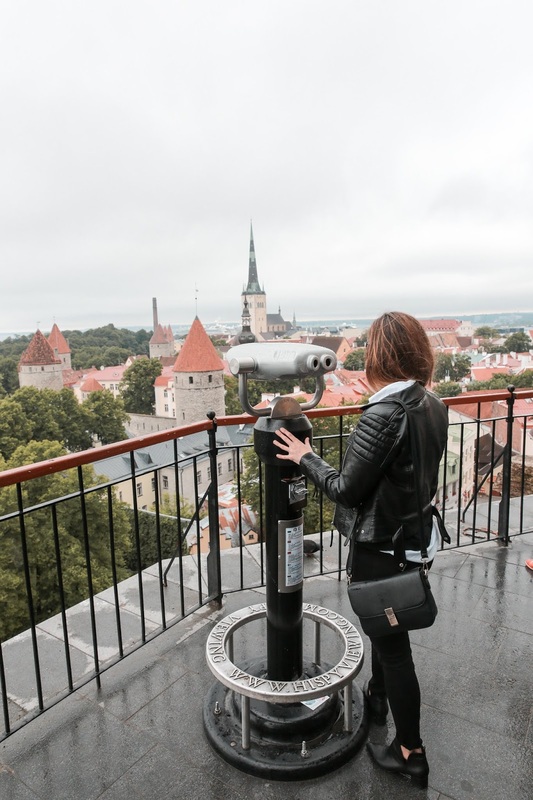 The Patkuli Viewing Platform is an iconic spot known for its views of the city. 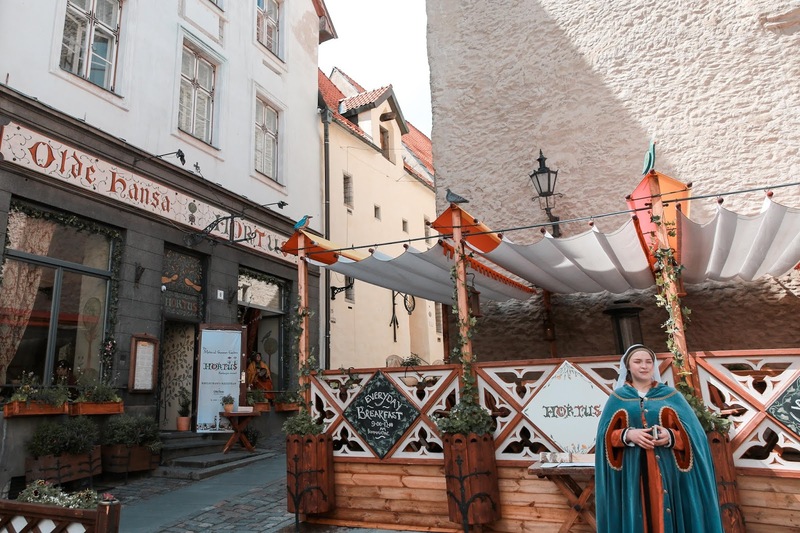 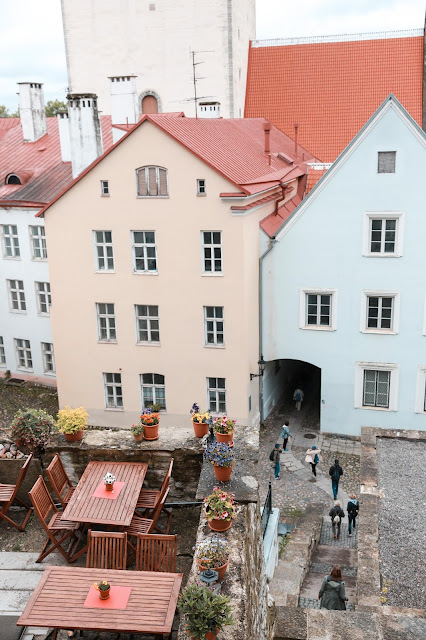 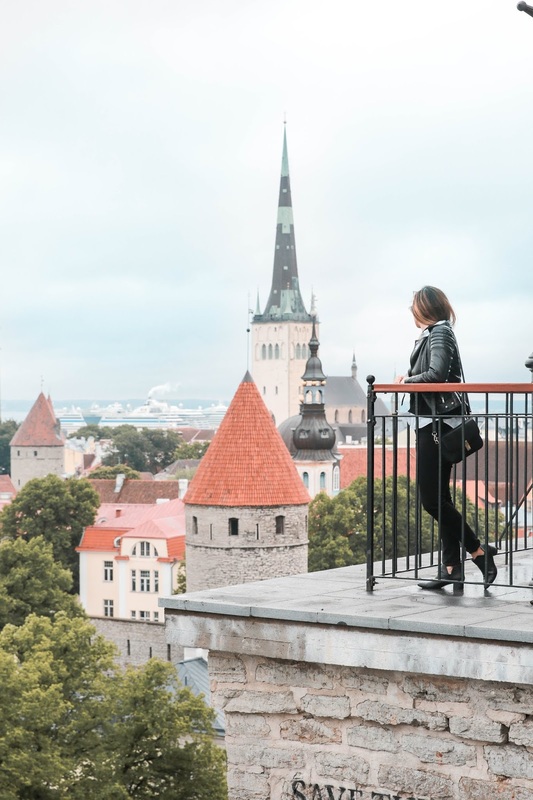 This is the very best spot in Tallinn to get a full view of the city’s Town Wall, landmarks like St. Olav’s church, AND the water. 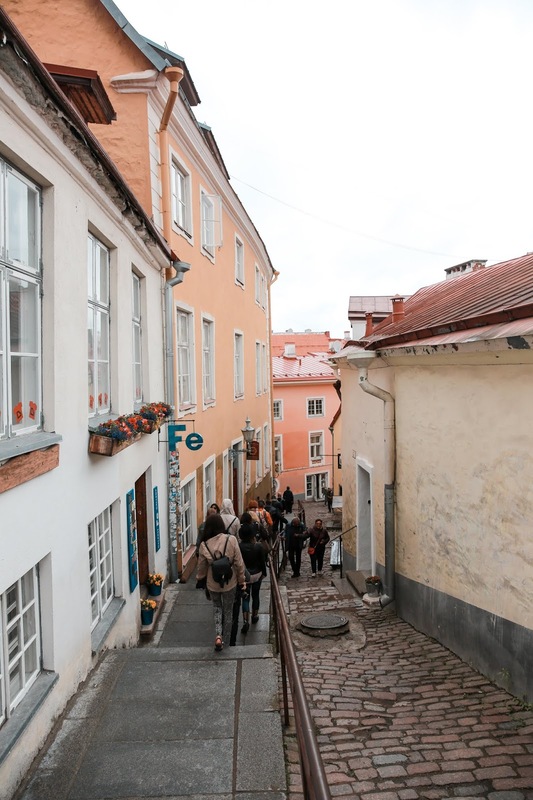 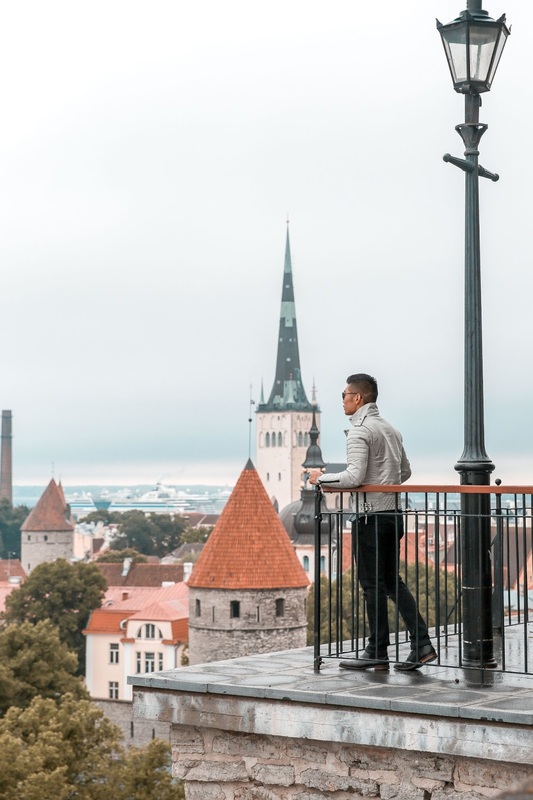 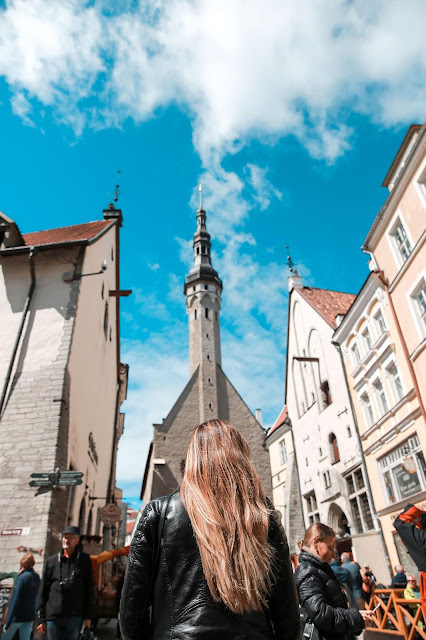 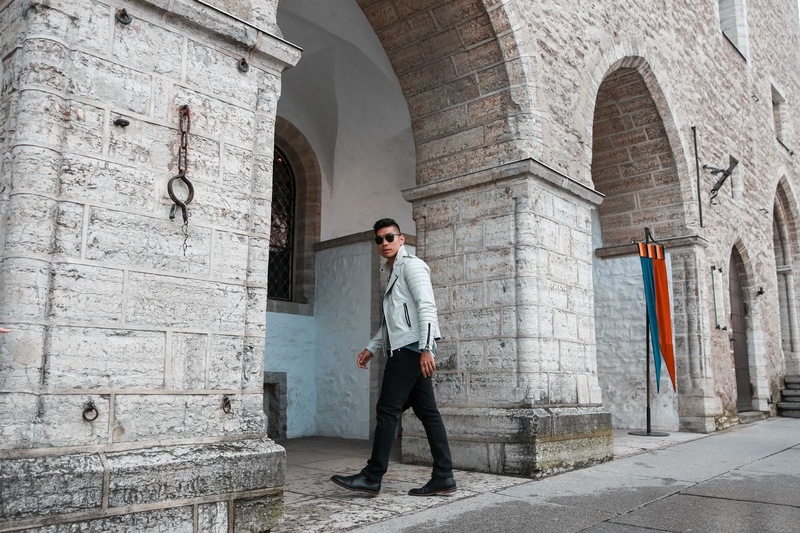 We took a ton of photos here.Tallinn is a notoriously photogenic city with many overlooks, which makes it a perfect photography destination! A fun fact about the overlooks is that Estonian nobility used to use these overlooks to keep watch on the traders in the plazas below. 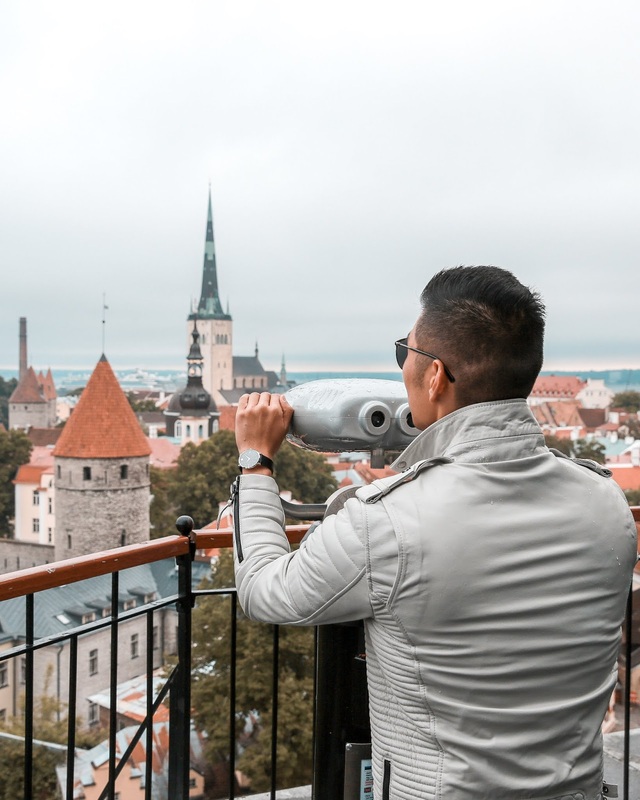 Today, travelers do the same! 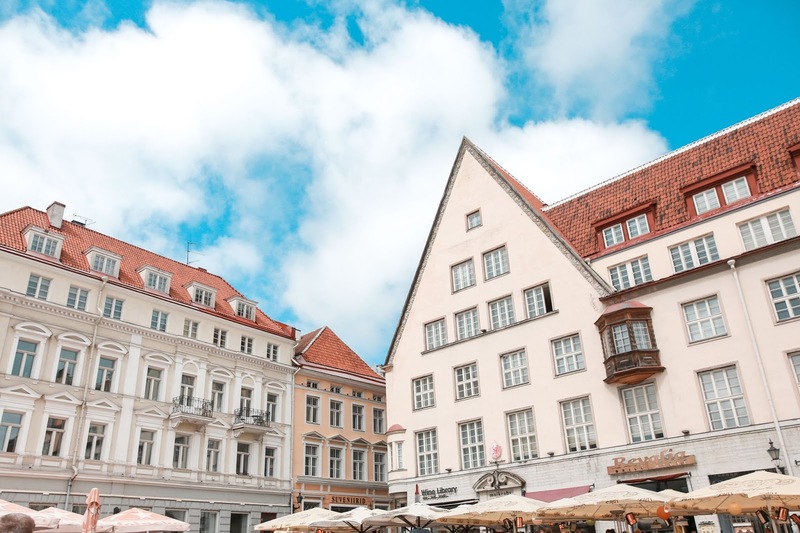 Arguably the most photogenic spot in the city, the town hall square is surrounded by both the Gothic town hall as well as 15-17th century pastel buildings. Once surrounded by an extensive stone wall, large sections and their many original towers still remain giving the city its distinctive medieval feel. 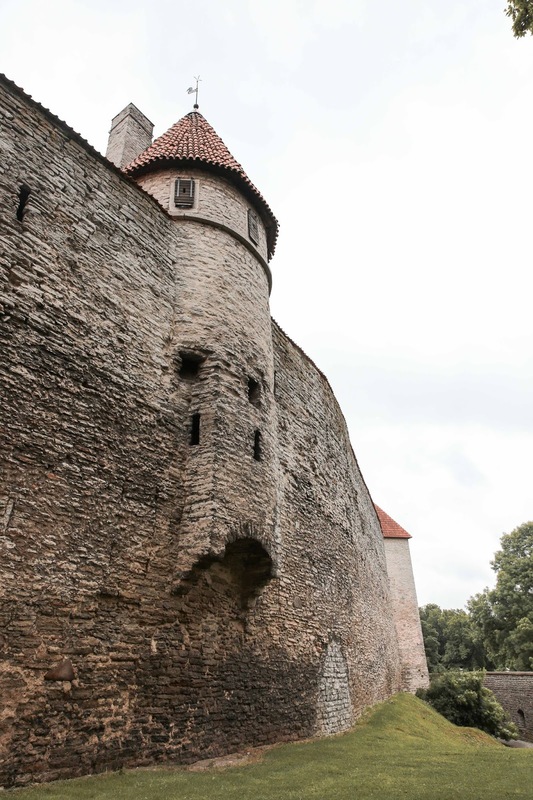 We felt like we could run into a knight at any moment. Give yourself plenty of time in this area, trust us, you'll want it! Almonds - Walking the streets of the Old Town you will be greeted at every turn with the smell of delicious cinnamon roasted almonds. 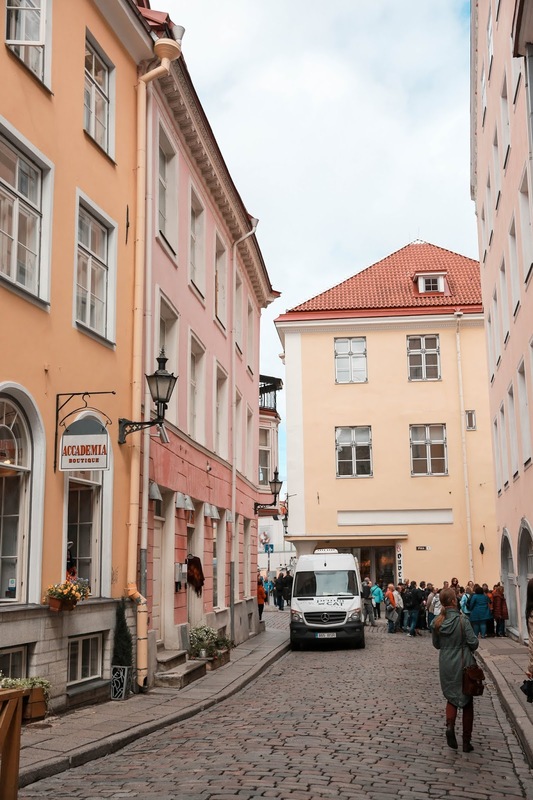 This snack is available all over the city, in shops and street carts! 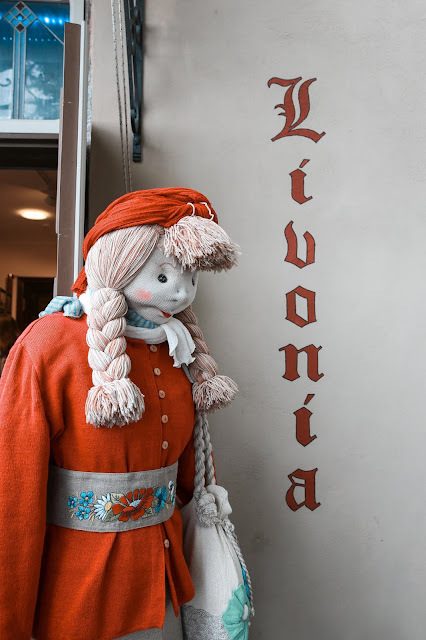 Marzipan - Some love it, some hate it. 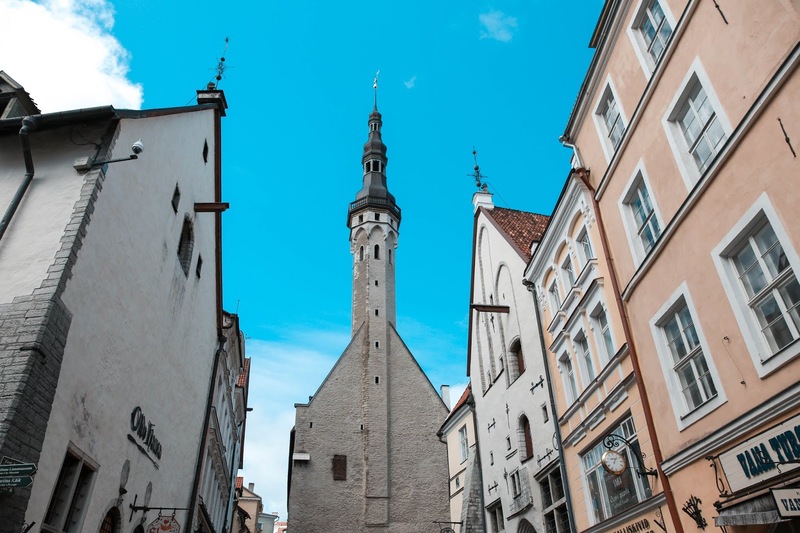 However, it's worth having in Tallinn because of its long history with the city. 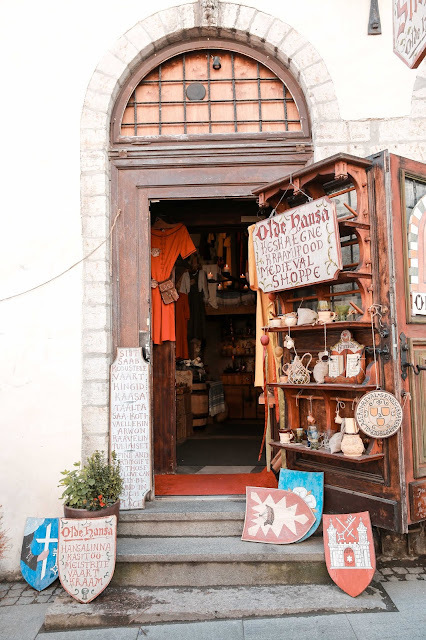 It used to be made at the pharmacy in town as medicine! Black Bread - Black rye bread with a soft inside and crispy outside! Kalev Chocolate - Named after an Estonian hero, Kalev is the local chocolate manufacturer and is a perfect souvenir!